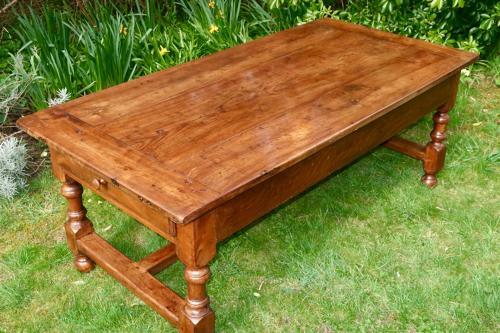 An 18th Century French country table reduced in height to make a very attractive and practical coffee table. With one large drawer to the end. Wonderful warm colour and all in excellent condition.